Gerald Angell, a millworker before the war, enlisted on February 8th, 1940 for General Duties and was a rear-gunner with No. 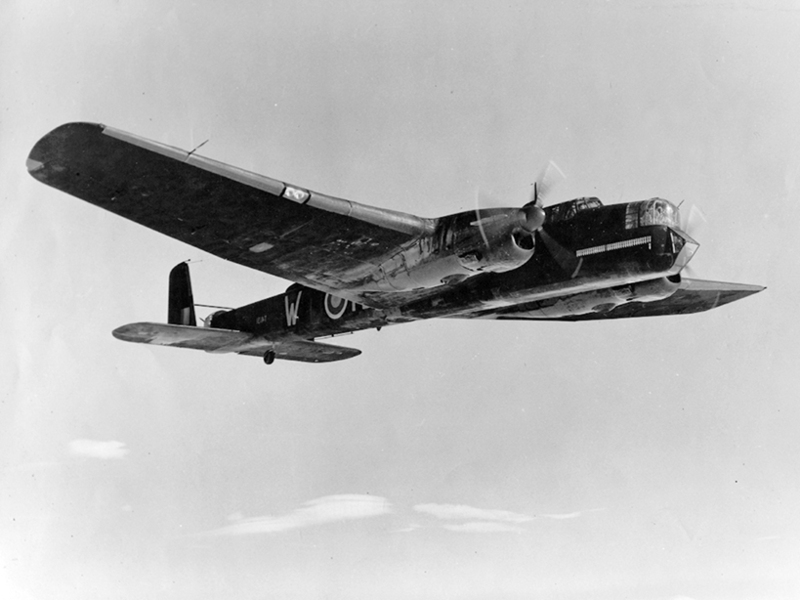 77 Squadron which flew with Armstrong Whitworth Whitley III and V from November 1938-October 1942 and Handley Page Halifax B.II, B.III, B.V and B.VI from December 1942-May 1945. This Warrant Officer has completed a tour of operations. On two occasions his aircraft has been attacked by enemy fighters. In December 1943, during a sortie against Leipzig, his aircraft was attacked by a Junkers 88 but Warrant Officer Angell's accurate return fire drove the enemy aircraft off with smoke and flames coming from the port engine. Later in the same month, when his aircraft was subjected to three attacks from a Messerschmitt 210, the enemy's attacks were again frustrated largely owing to the skill of this Warrant Officer and his fellow gunner and the excellent evasive direction they gave to their captain. Throughout his tour Warrant Officer Angell has shown coolness, courage and great devotion to duty."